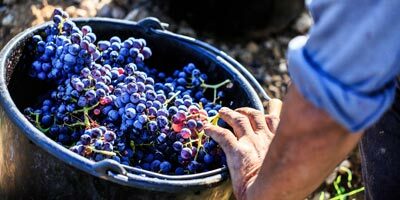 Wine Making Process: Traditional vinification at 27°C in thermoregulated vats with a long 19 day-maceration for better extraction of the colours, solid matter and tannins. Automatic malolactic fermentation in concrete vats. The wines are racked 3 or 4 times but are not fined or filtered. Maturation for 13 months in 1 to 5-year-old Burgundian barrels (228L and 300L). Plate-filtered before bottling. 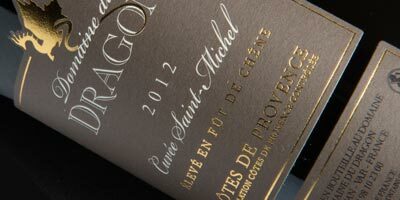 Palate and Nose : Intense and deep grenat colour. Intense nose developing on liquorice and black fruit (blackberry and cherry) with vanilla. Soft and complex midpalate. Clear attack in the mouth with subtle tanin on red fruits and roasting flavour. Good balance and length. Partners game, red meats and cheeses very well. Robe grenat. Nez fin, intense, grillé, d’épices douces et légèrement vanillé. Griotte, prune, cerise, mûres. Attaque en bouche ample, complexe et soyeuse sur des fruits rouges. Finale longue et équilibrée sur des tanins soyeux. Beau vin de garde. Deep red-coloured wine with ruby hues, fruit in alcohol aromas and soft spices. Tannins are soft with liquorice flavours. Intense, deep and dark red colour. Melting, mellow and round midpalate with subtle oaky notes as well as cinnamon, coconut and spicy flavours. Intense nose developing on black fruit, liquorice and spice aromas. Good balance and length. Partners game, red meats and cheeses very well. Robe intense, profonde et grenat foncée. Nez intense sur des notes de fruits noirs, de réglisse et d’épices. Bouche pleine aux tannins fondus et au boisé fin rappelant les arômes du nez. Bon équilibre et longueur en bouche. Se marie très bien avec le gibier, viandes marinées et fromages. Blend : Syrah 50% – Cabernet Sauvignon 45% – Grenache 5%. Intense and deep colour. Nice powerful nose composed of subtle oaky anise and pepper aromas as well as of ripe fruit notes. Light tannins softly balanced with liquorice and anise flavours. Rich wine ripe for more opening up. Partners game, soused meats and cheeses very well. The deep colour with almost black hues is a feast for the eye. From the first nose on, the wine immediately opens up. The aromatic spectrum is powerful: toasty notes; liquorice, candied bananas and pepper flavours; menthol and anise aromas harmoniously blend with subtle oaky notes. This aromatic complexity is then encountered in the mouth with peppery and liquorice. Nice powerful nose with pepper, liquorice and menthol aromas. 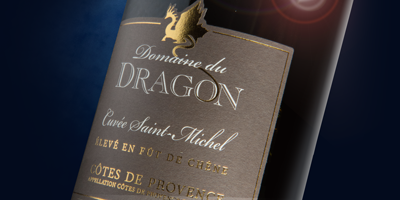 Powerful mouth and long finish with candied and spiced fruit aromas. Tannins are nicely round. 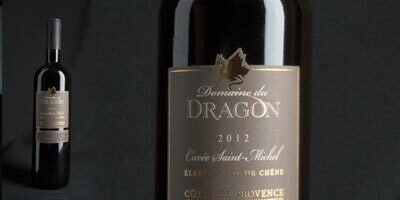 Very deep red colour, very powerful mouth displaying candied fruit and spice aromas. Tannins are present but of a good balance thanks to roasted coffee and coconut flavours. 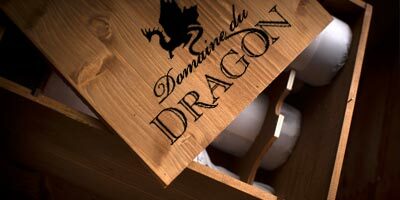 CDeep red colour and first powerful nose evolving on ripe fruit notes and vanilla-flavoured coffee aromas. Round, balanced and powerful mouth with relatively melted tannins.